India’s Telecom Commision has approved Net Neutrality rules which bar service providers from discriminating against internet content and services by blocking or granting them higher speed access. 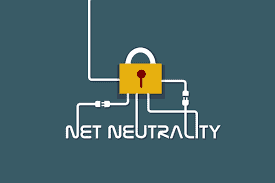 According to PTI reports, the telecommunication approved net neutrality as recommended by TRAI, some critical purview will be kept out of its purview, telecom secretary Aruna Sundarajan told reporters. Under net neutrality, online access is unrestricted and non-discriminatory. A committee will look into the possible exceptions for “critical services” which will also be defined keeping in view the basic tenets of net neutrality. TRAI has recommended restrictions on service providers from entering into agreements which lead to discriminatory treatment of content on the internet. The Department of Telecom will set up a multi-stakeholder body for monitoring. and enforcement of net neutrality comprising government representatives, telecom operators, IoT providers, civil society members and consumer organisations. According to reports, DoT will also seek recommendations on traffic management for critical services from TRAI. “Where the Net Neutrality recommendations are concerned, we have already expressed our support on issues pertaining to the non-discriminatory use of the Internet, including no blocking, no throttling and adoption of same service-same rules. That said, we reiterate our earlier position that a light touch Regulatory approach should be adopted so that innovation is not hampered by the Net Neutrality rules. Many of the 5G applications will have stringent data communication requirements, such as high reliability or minimal delay which require traffic management techniques. We have urged the Government to review industry practices with respect to traffic prioritisation to foster 5G-enabled applications and eco-system in India. Now that the commission has approved the recommendations, which are before the Cabinet for approval, we hope that the Cabinet will consider the concerns raised by the industry so that the Net Neutrality rules that are adopted in India benefit the consumers, incentivise innovation and adoption of new technologies, and enable the seamless spread of state of the art networks and service,” said Rajan S Mathews, DG, COAI. Although the government has done a great job by approving Net neutrality rules, the operators are little apprehensive about this decision. Govt. Approves Net Neutrality but Operators Apprehensive 0 out of 5 based on 0 ratings. 0 user reviews.